1. Cook the pasta till al dente. Set aside. 2. 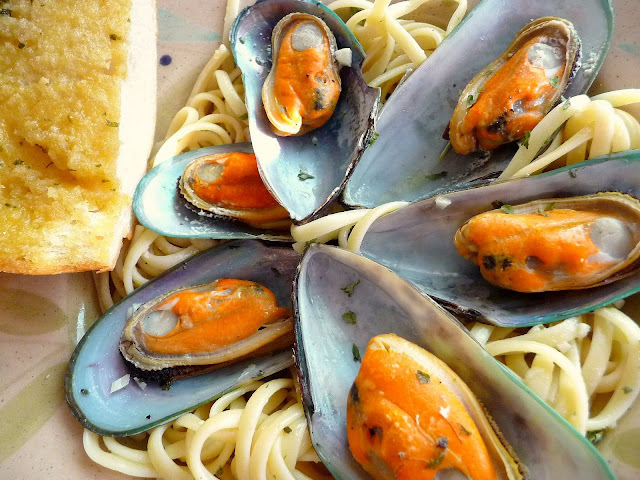 Wash the mussels thoroughly and drain. 3. Heat up the olive oil on low to medium heat and add the garlic. Do not brown the garlic. 4. Add the mussels. Stir until well coated with oil. 5. Add the wine and cover the pan. Simmer on low for about 5 minutes. 6. Add the cream, basil and parsley, and cover the pan. Simmer on low for about 5 minutes. 8. Serve over a bed of pasta, topped with parmesean cheese. 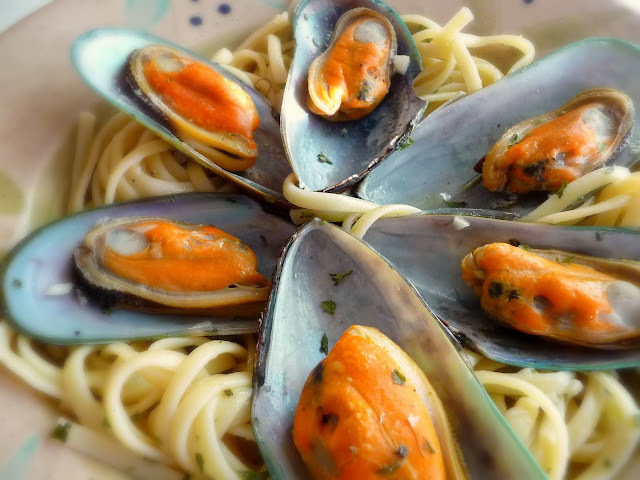 Spoon mussels and sauce over pasta. 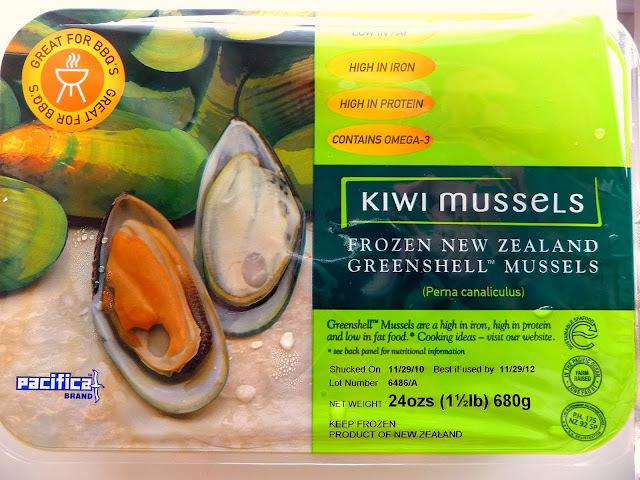 In the absence of fresh mussels, you can buy these packaged ones at the Asian store. I usually go to 99 Ranch Market. 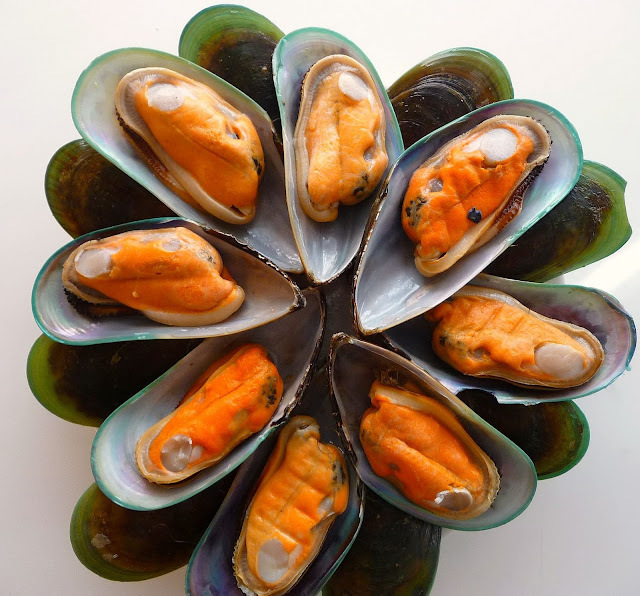 These packaged mussels already come on a half shell. Look at that glorious orange contrasting against the green shell. I just marvel at nature's genius. Finally, serve with garlic bread and keep the parmesean cheese handy.